PPL Electric Utilities Corporation announced that its board of directors has elected Stephanie R. Raymond to the new position of vice president-Transmission and Substations. “This new officer-level position reflects the importance to our customers – and to the reliability of our electric system – of our transmission and substation network,” said Gregory N. Dudkin, president of PPL Electric Utilities. PPL Electric Utilities has been investing in new technology, installing more storm-resistant equipment and removing more trees from around power lines to prevent power outages from happening, and to restore power faster to customers, Dudkin said. Raymond joined PPL Electric Utilities in February 2011 as director-Project and Contract Management. 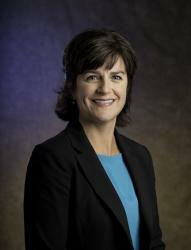 She has been leading the transmission and substation organization since July 2012. Her current responsibilities, in addition to transmission and substation operations, include leadership of the planning, engineering, compliance, real estate, siting, permitting, project management, construction management and contract management functions for the utility. Before joining PPL Electric Utilities, she was chief operating officer of CablenetServices Inc., of Boothwyn, Pa. Raymond also has held numerous senior leadership positions for Comcast Cable Communications, Philadelphia, Pa.; General Fiber Communications, Conshohocken, Pa.; International Fibercom Inc., in Phoenix, Ariz.; and All Star Telcom in Sacramento, Calif.
She earned a Bachelor of Science degree in business administration – finance/strategic management from California State University in Sacramento.